From sports drinks to protein powders, from compression therapy to cupping — there’s a whole industry of products and services designed to help our bodies recover from intense exercise. But does any of it work? ​Christie Aschwandan explores it all from electrolytes to power bars to the dangers of over hydration while exercising. Turns out, symptoms for dehydration and over hydration can feel similar. Click here to learn more and which recovery approaches are most effective. 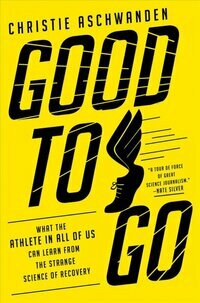 For more check out Christie Aschwanden’s new book below, which examines the latest athletic trends, rituals, and training practices to determine if any help the body recover and achieve optimal performance.